One Day. One Track. One Community. A collaboration in conjunction with the Serverless London User Group, JeffConf is an attempt to move past the word Serverless, and focus on the use of these platforms and the value they provide. 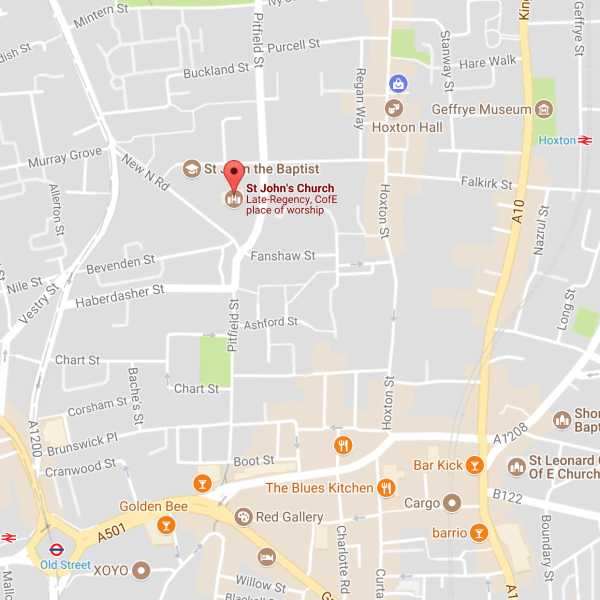 The 191 year old St John's Church, a short walk from Old Street station, provides a relaxed venue for JeffConf. Tickets are reasonably priced from £35 to make sure it's financially accessible for the community. Real users showcasing the problems they've solved using serverless platforms. Focus is learning through sharing. Serverless is a buzzword that has marmite appeal. For some it points to the future of software development in a post cloud world, and for others it evokes memories of vendor marketeers playing buzzword bingo. In the spirit of Paul Johnston's blog post, "Serverless is just a name. We could have called it Jeff", JeffConf is born. It is a community focused, single track, one day conference, that moves away from the word, and focuses on the reality of Jeff (or Serverless) based solutions. It’s about fostering a community locally, and helping all of us learn from each other as we embrace a new way of building applications. Technology communities and technology employment has been long dominated by white males. This leads to a lack of diversity of thought, $400 juicers, and a general lack of empathy for anyone that isn't a white male. To change this, a conscious effort is required from all sides. Here at JeffConf we're doing our bit by removing the financial barrier to attending by offering Diversity Scholarships for members of groups that promote diversity in tech, and allowing attendees to purchase Diversity sponsorship tickets, paying for themselves and for a Diversity scholar. We've partnered with a number of organisations focused on improving Diversity in tech, listed below. If you're a member of diversity organisation not listed below, let us know at jeffconf@serverless.london and we'll be happy to partner with that organisation. Tea, Coffee, fresh juices and a light breakfast of fresh fruit and pastries will be provided while registration takes place. Opening of the conference and welcoming guests to spend a day learning and interacting with each other. Serverless and the noOps movement are buzzwords that you’ve probably heard, but could these technologies also solve problems that you actually have? This session will cover _when_ to use a serverless approach, and answer your questions about how to get started with it. We’ll look at how to write code for these platforms, and how to safely and repeatedly deploy your code to them. We’ll also look at how we can use these technologies to build a skill for the Amazon Echo. This session is suitable for developers of all levels. Lunch will be served, whilst a one hour Open Space program of self-organising conference talks submitted on the day by attendees enabling the sharing of ideas. The Open Space session will be hosted by Jessica Rose, with assistance from Ant Stanley and Paul Johnston. It will consist of three tracks, focusing on beginners (this is new, I want to know more), intermediate (ok I'm using this now, what more do I need to know), and advanced (what have I done? so far down the rabbit hole, time to just keep going) users. #Less is More: Lessons learned from going serverless at the Financial Times. In recent years FT.com was rebuilt, transforming from a monolith to a microcosm of over 200 applications, components and services. How can a high-profile news website go Serverless and stay fast and fault tolerant? 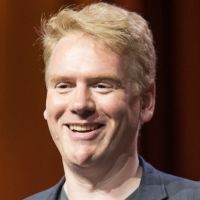 Join FT Principal Engineer Ben Fletcher to explore how the Financial Times became the fastest major news website in the world, what serverless experiments we've been doing with all those microservices, and more. Serverless Security best practice, including showing live exploits against Serverless apps, discussing how they happened, and showing how to fix them. A lively unpanel with audience participation, focusing on the journey individuals and organisation make to adopting serverless technology. Short refreshment break to catch your breath and get back to the hallway track before the afternoon session. Serverless and IoT: the best of friends! Serverless has seen growing popularity in the web development world, and the realm of Internet of Things is no exception. In this talk, we'll discuss why these two technologies pair very well, as well as talk about some of the issues that still haunt this new frontier. And of course it wouldn't be an IoT talk without a demo or two! Come learn the whys and hows of what make Serverless a wonderful new advent for IoT development and maybe learn a few things about IoT as well. Quick Fire round of 4 lightning talks showcasing serverless projects and approaches. Sebastian Goasguen - Author of the Docker Cookbook, and creater of Kubeless, a serverless framework for Kubernetes. Sebastian bridges the worlds of containers and serverless in a way few others do. 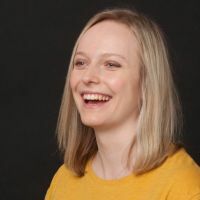 Anna Doubková - Senior Developer at Pizzahut, actively using both serverless and containers today. Nothing like working at the coal face to understand the challenges of a particular stack. Greg Cope - Head of Platform and Security at the Financial Times. Greg has to weigh up the merits of these approaches whilst meeting the needs of the Financial Times users. 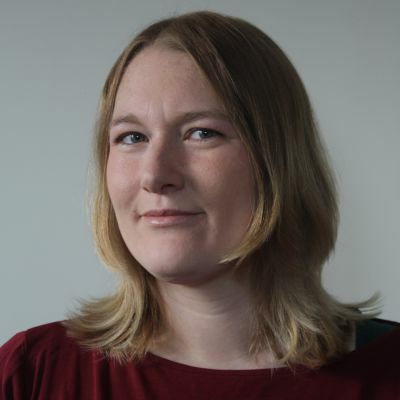 Kassandra Perch - Developer Advocate for IOPipe. 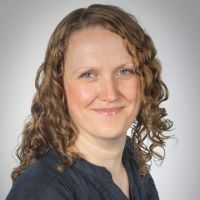 In their role at IOPipe, and previous role at Auth0, few people have the exposure to organisations deriving value from serverless platforms as Kassandra. Join us on the lawns for a beverage and to continue the conversation. 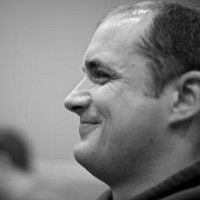 Sebastien Goasguen is a twenty year open source veteran. After a career in academia he took on the challenge of the "real world" within the computer industry. He is the founder of Skippbox, a Kubernetes startup acquired by Bitnami where he currently serves as Senior Director of Cloud Technologies. He created kompose, Cabin and more recently kubeless, a Kubernetes native serverless solution. An avid blogger he enjoys spreading the word about new cutting edge technologies. Sebastien is the author of the Docker and Kubernetes O'Reilly cookbooks. Simon's focus is on strategic play both at an industrial and global level. He is the author of multiple reports including Clash of the Titans: Can China Dethrone Silicon Valley?, a pioneer in the use of topographical intelligence within business, a former executive and an advisory board member for several successful start-ups. He has twice been voted as one of the UK's top 50 most influential people in technology. Simon has spent the last 20 years defining future strategies for companies in the FMCG, Retail and Technology industries. 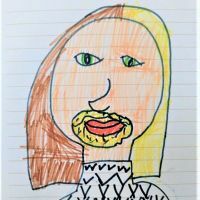 He is a passionate advocate in the fields of strategic play, organizational structure, open source and leadership and is a regular presenter at conferences worldwide. 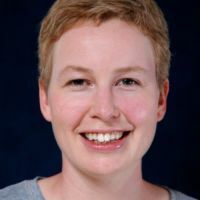 Lorna is based in Yorkshire, UK; she is a Developer Advocate with IBM Cloud Data Services, a published author and experienced conference speaker. She brings her technical expertise on a range of topics to audiences all over the world with her writing and speaking engagements, always delivered with a very practical slant. In her spare time, Lorna blogs at http://lornajane.net. 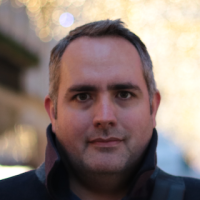 Ben Fletcher works as Principal Engineer at Financial Times, leading the development of the high-performing & award-winning https://ft.com. In his spare time, he enjoys bouldering & trying to become the MP in his constituency. PS He's also Deafblind and his first language is British Sign Language. Interpretation will be provided. Come & find out to see what he's all about! Guy Podjarny co-founded Snyk.io, focusing on securing open source code. Guy was previously CTO at Akamai, following their acquisition of his startup, Blaze.io, before which he worked in Application Security and was part of IDF's Cyber parts. Guy is a frequent conference speaker, an O’Reilly author, and blogs often on https://snyk.io/blog/. 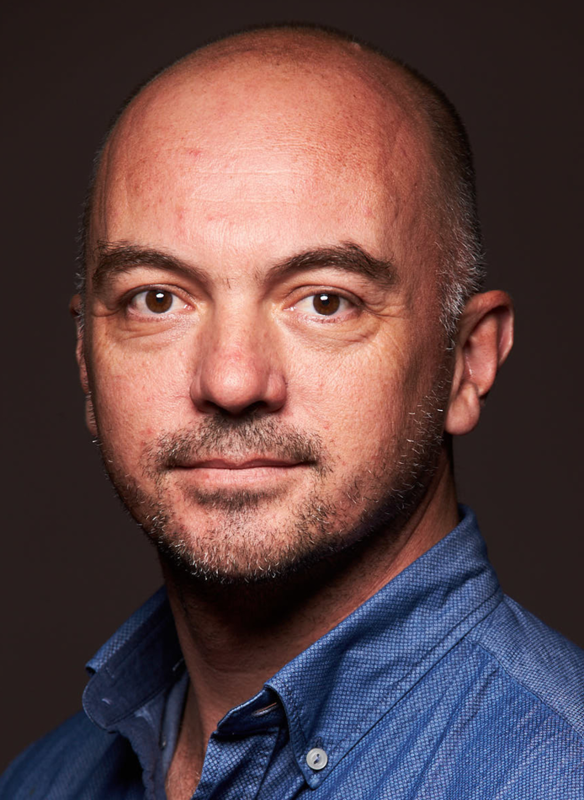 Chris Swan is CTO for the Global Delivery Organisation at DXC Technology, where he leads the shift towards design for operations across the offerings families, and the use of data to drive optimisation of customer transformation and service fulfillment. Previously Chris was CTO for Global Infrastructure Services at CSC. 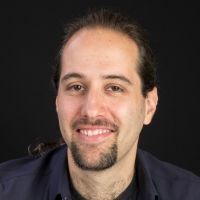 Before that he held CTO and Director of R&D roles at Cohesive Networks, UBS, Capital SCF and Credit Suisse, where he worked on app servers, compute grids, security, mobile, cloud, networking and containers. 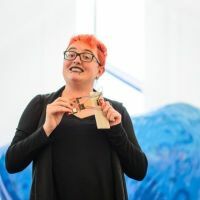 Kas is a Developer Relations Engineer for IOpipe by day, and an Electrical Engineering student, nodebotanist, and novice longboarder the rest of the time. They enjoy a peaceful life of soldering, sewing, and occasionally petting one of their two cats in their Austin, TX, USA home. Anne has been in the software industry for nearly 25 years, on servers in the 90's, early eCommerce and international lingerie in the 00's and now cutting edge ops technology in the 10's. She is currently having fun working with the cloud native experts at Container Solutions. I asked James for a bio, and said if he didn't supply one I would make it up. So here I am making it up. This may or may not be true. When not enjoying long walks on the beach, James's day job is founder and analyst at Redmonk, a developer focused technology analyst firm. He has a passion for craft, whether it be beer, wine, gin, coffee or hand crafted artisanal serverless platforms. In his spare time, away from sipping Pina Coladas, James also runs, with significant assitance from his sister Saffron, Monkigras, an annual gathering of technologists discussing technology. (You should definitely go to the next one). Whilst he enjoys being caught in the rain, he delights in being a champion for diversity in tech, and wore a suit to celebrate this fact. 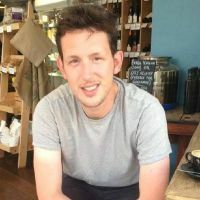 Adam is a Senior Developer at Comic Relief working to build an array of NodeJS microservices utilising the Serverless framework, using Docker and Concourse CI to deploy to the AWS platform. The on-demand nature of Serverless on AWS has proven to be an exciting fit for Comic Relief due to the it’s unique campaign based traffic profile. Greg has a masters degree in Information Systems and has been working in tech since the last millennia. 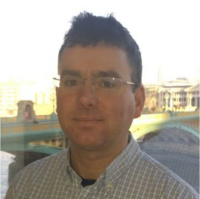 Working first in e-commerce, then pharma, ecommerce again and then media, Greg is now Technical Director of Enterprise Services and Security at the Financial Times in London. This covers everything from desktops, email, collaboration tools, networking, data centers Cloud Enablement and tooling teams. Cyber Security is also a keycpart of his role, both looking at organisational strategic approaches and tactical day to day. Having come from an web, ops and architecture background Cloud Computing, Amazon Web Services and Serverless in particular are a key interest. When not doing IT, Greg can be found sailing, skiing or trying to drink good wine. David is an infrastructure engineer at FundApps, a financial compliance startup, where is responsible for their serverless platforms, which utilise HashiCorp's Consul, Packer, Vault and Terraform to deploy Golang based services to AWS Lambda and the AWS platform. 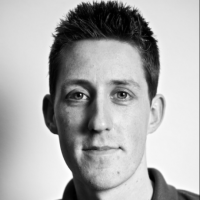 Previously David was a Senior Web Developer at the BBC where he was responsible for the first Golang services in production at the BBC. 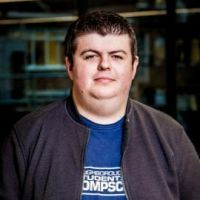 Paul is the CTO of Movivo where he has built his entire product on serverless technologies, whilst actively blogging and regularly speaking about the experience. 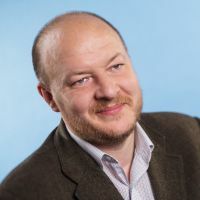 James Thomas is a Developer Advocate with IBM Bluemix and has been pioneering a multi-cloud approach to serverless technologies, actively contributing to the Serverless Framework and regularly speaking about how to build multi-cloud serverless applications. Ant Stanley was a co-founder of A Cloud Guru, an online learning startup focusing on cloud computing, which built its entire platform using Serverless technologies. Whilst at A Cloud Guru, Ant organised and launched the first ServerlessConf. Today Ant runs the Serverless London meetup, which is a monthly gathering of Serverless enthusiasts in London. St John's Church is a 191 year old church in Shoreditch surrounded by a public park providing a relaxed atmosphere. A 5 minute walk from Old Street Underground Station it is easily accessible. We believe it provides the perfect space for the type of event we want JeffConf to be. Informal, relaxed, inclusive and most importantly a space that will inspire you. JeffConf is a community organised event focusing on Serverless technologies and the changing face of application development. We aim to make it an inclusive conference welcoming people from diverse backgrounds. As part of this we are promoting. We have two diversity partners in the form of Women Who Code and Coed:Code. If you wish to apply for a diversity ticket simply click the button below. If you think your organisation should be one of our Diversity Partners, email us at jeffconf@serverless.london and we'll make it happen. We want to make JeffConf accessible, so have kept prices low to ensure maximum accessibility. T-Shirts are optional extra's and must be purchased with the separate t-shirt ticket. Or purchase tickets directly via Eventbrite here.